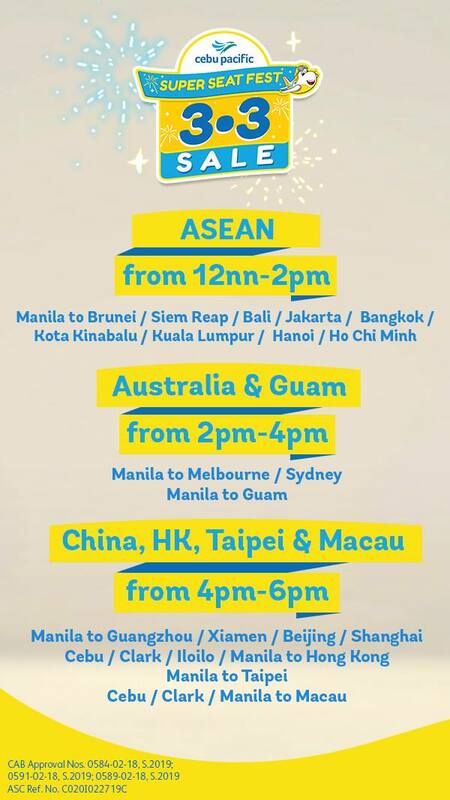 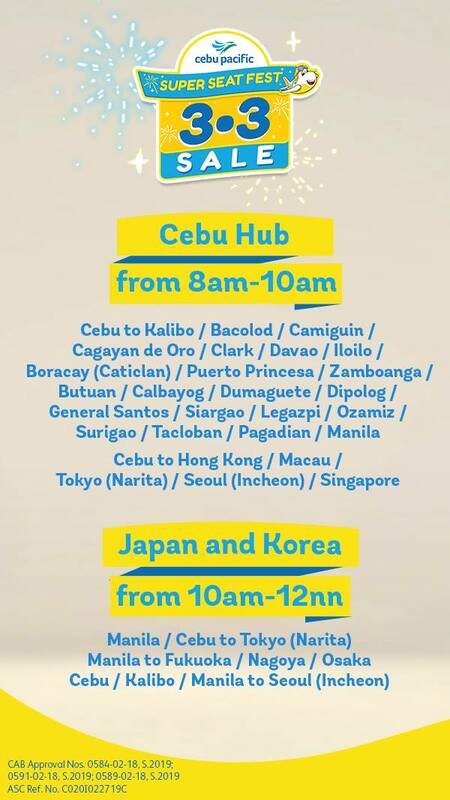 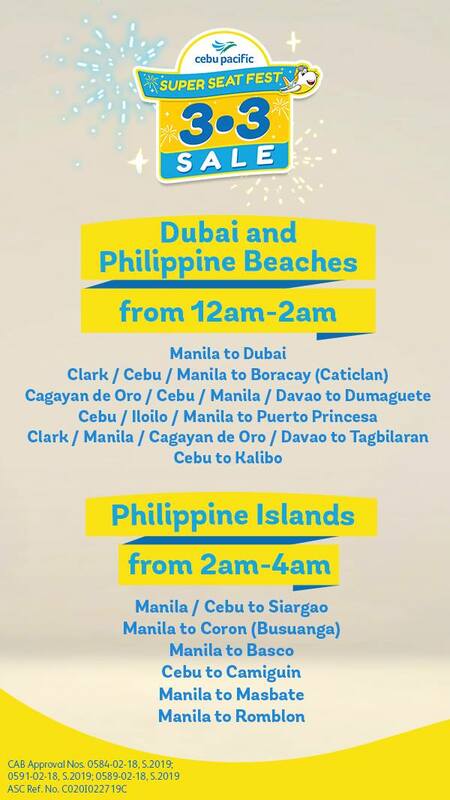 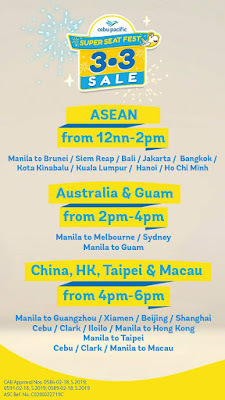 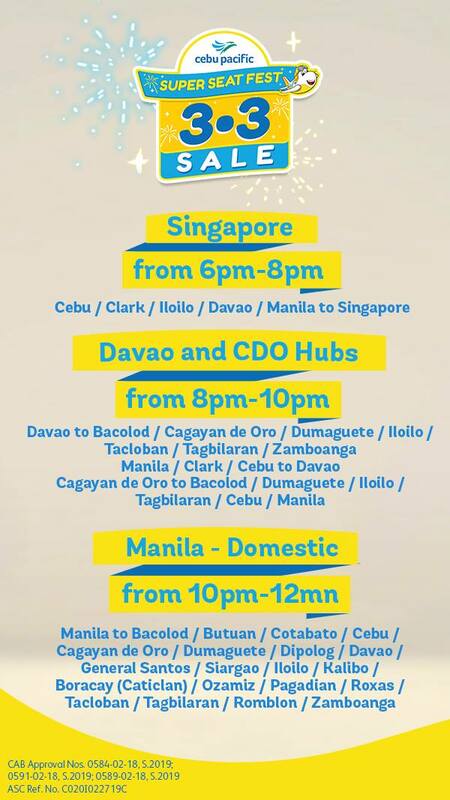 Cebu Pacific Air (CEB) celebrates its 23rd anniversary by unleashing one of the biggest airline seat sale of all, the #CEBSuperSeatFest. 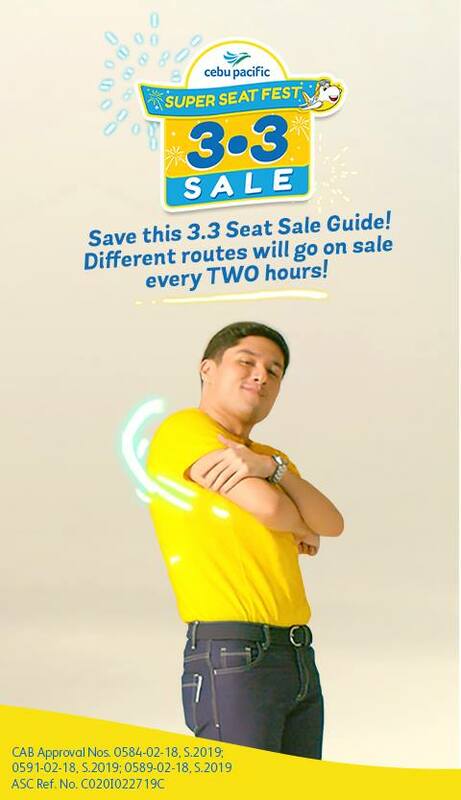 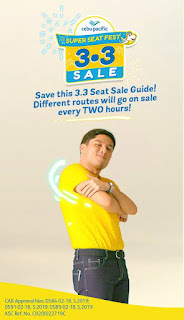 To kick off this amazing month, CEB is having 3.3 Sale today, March 3, 2019. 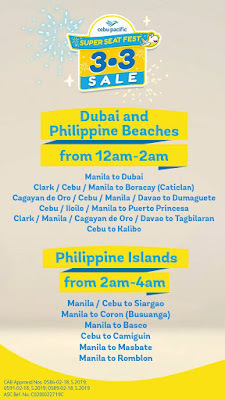 Visit their site and book a flight to your favorite destination. 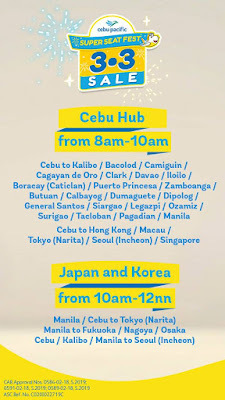 3-Peso fairs will be offered to different destinations every 2 hours. 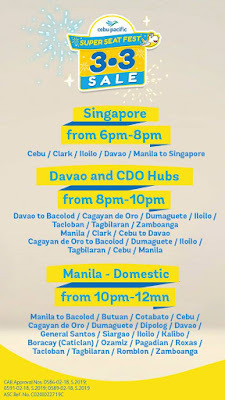 Check out the schedule!